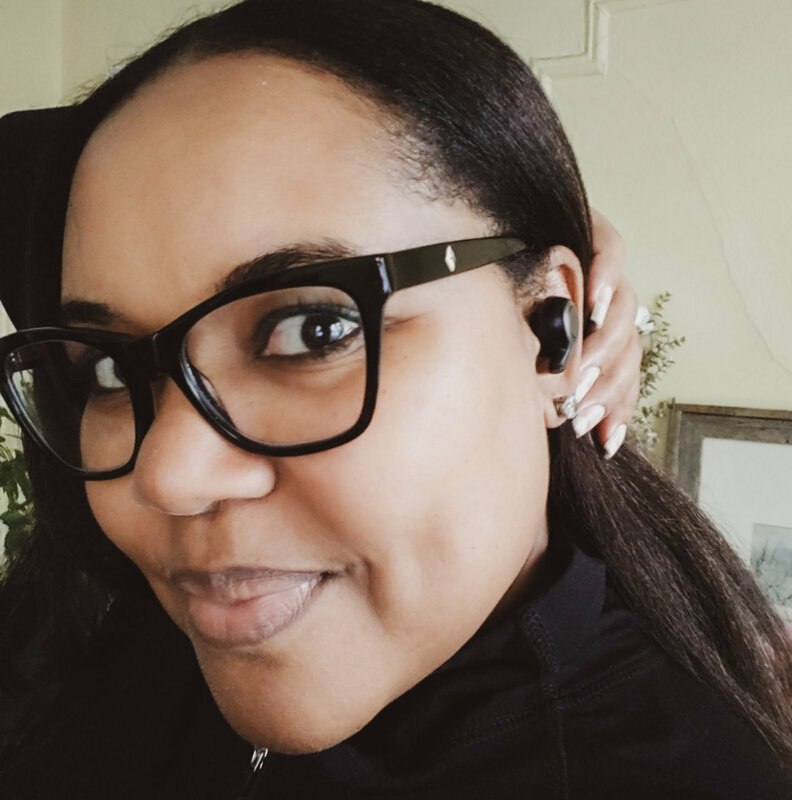 Last year, in an effort to minimize cords and untether myself from a ubiquitous cell phone, I bought a pair of wireless headphones. Despite the need to charge them regularly and a sometimes spotty Bluetooth connection, I loved them. I could walk around while talking on the phone or listening to music without having my phone in my hand or my pocket. Freedom! Or so I thought. My love waned as the connecting wire kept getting stuck to my neck or tangled up with my hair and purse straps. My love completely faded when one of the ears developed a short and my stereo sound was dependent upon just the right wire placement. Ugh! You should have seen me trying to hold my head perfectly still while singing along with Adele. Yeah, not so much. 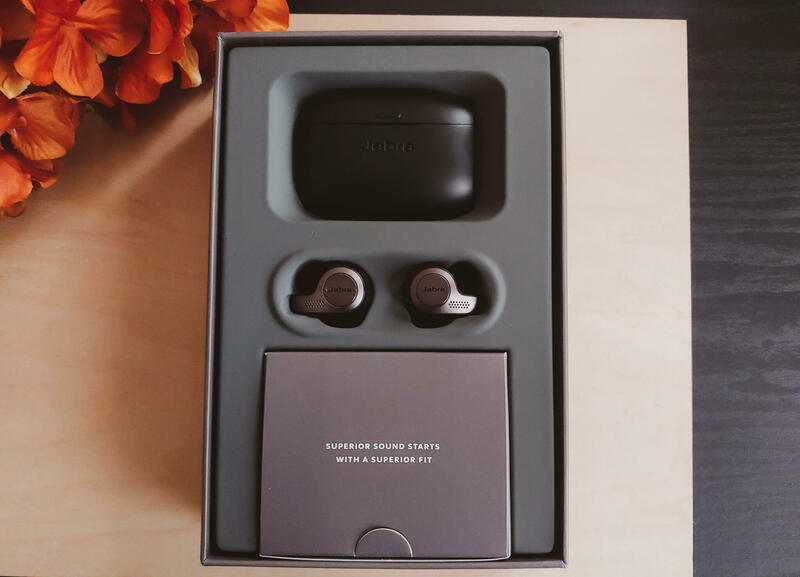 Then, last month, I discovered that there’s a thing called true wireless earbuds! No wires at all? Nope, none. Well! 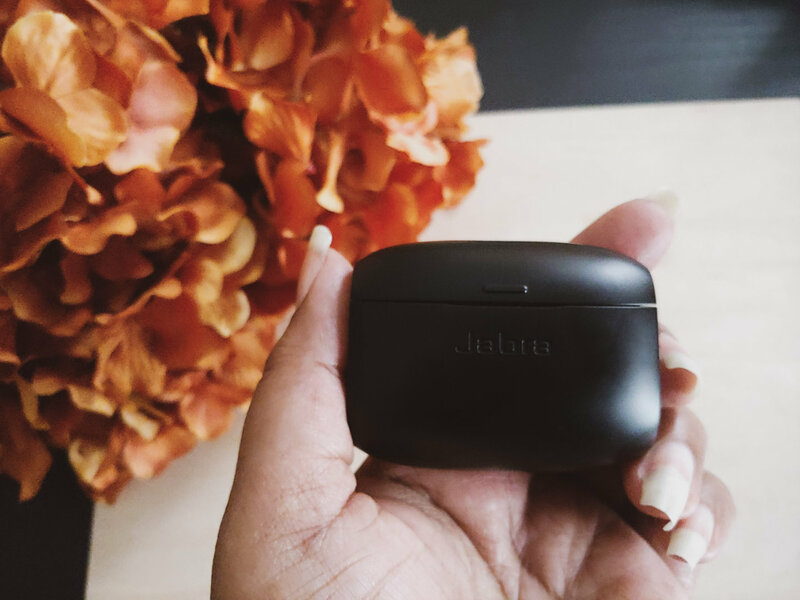 Naturally, I spent two days researching this new-to-me category and promptly trotted over to Best Buy and picked up a pair of Jabra Elite 65t Wireless Earbud Headphones. Game changed. They fit discreetly in your ear. The call and voice quality is near perfect. The battery lasts for up to five hours on a single charge. They have the cutest little charging/carrying case that lets you enjoy up to 15 hours of use. With true wireless earbuds, the fit is everything. If the buds are too big or too small for your ears, your sound experience will suffer. 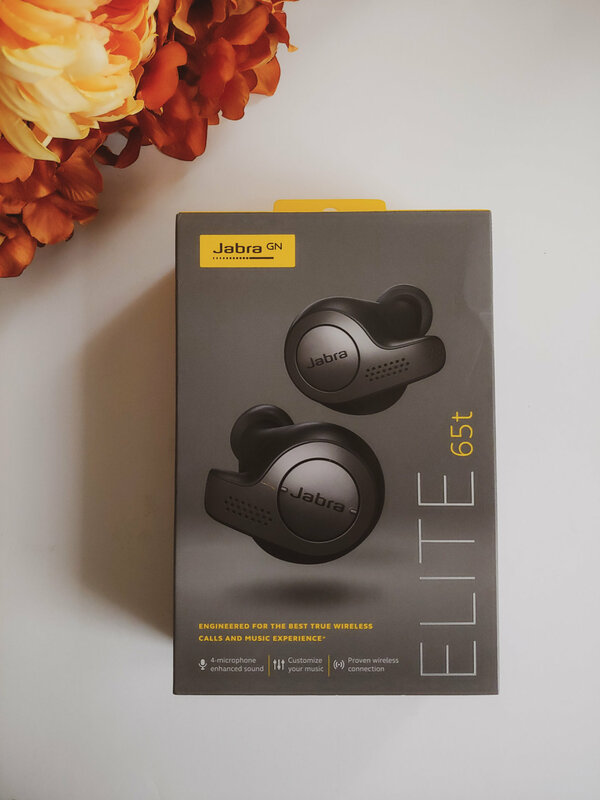 A lot of online reviewers complain about the fit of whatever buds they chose but I lucked out with the Jabra Elites because they’re the perfect size for my ears. They also come with three sets of silicon EarGels so you can customize the fit. 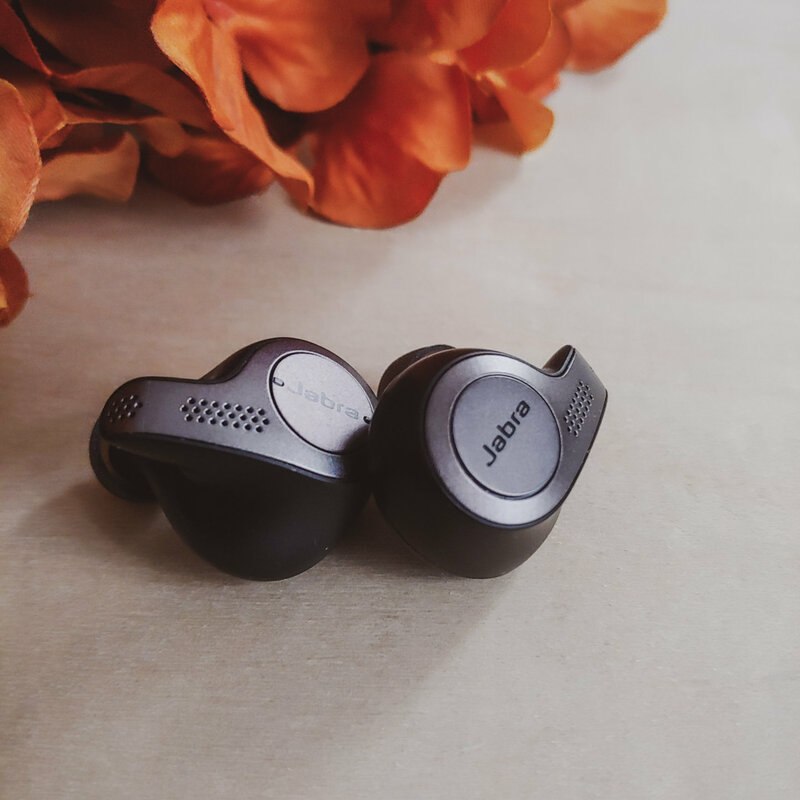 Some other cool features include passive noise cancellation and HearThrough technology that allows ambient noise to filter through when you want to remain aware of your surroundings. There’s also the Jabra Sound+ equalizer app that lets you adjust the sound profile of your earbuds based on where you’ll be listening. For example, the commute setting gives you a little extra oomph. One of my favorite features is the ability to pair the earbuds with two devices at once. That comes in very handy for me when I use my second phone. No switching required. The many headset controls allow you to answer and end calls, reject incoming calls, control the volume, play/pause music, skip tracks backward and forward, turn on the HearThrough feature, and use your chosen voice assistant. The pocket-friendly carrying/charging case ensures that you always have a safe storage place for your earbuds and keeps them charged. The buds charge whenever they’re in the case and the case is charged via micro USB. I’ve been charging my case every two to three days. I bought the Titanium Black and they’re available in Copper Black too. 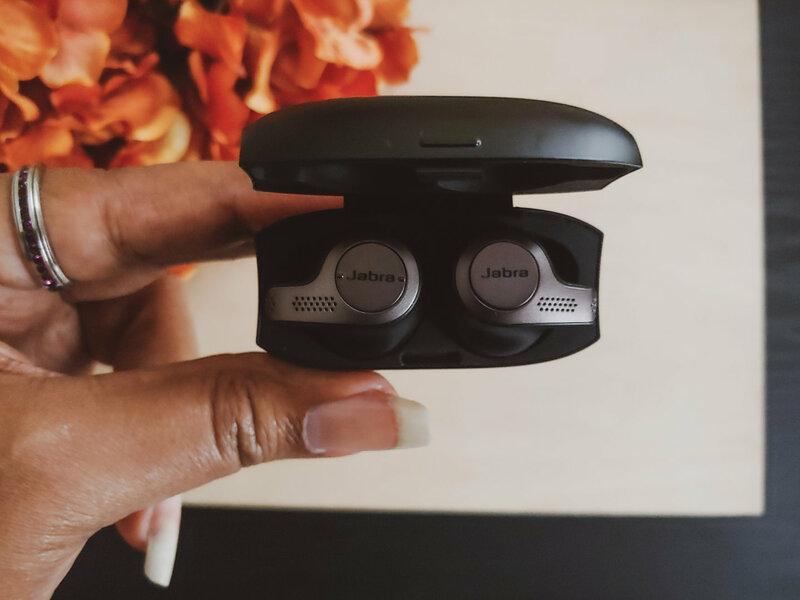 Of course, I love to discover a good gadget but these true wireless earbuds are a treasure that I didn’t even know I needed. I’m so, so happy with this find! And you know, gift giving season is coming. These beauties are perfect for music lovers, active folks who need to keep their hands free, and fitness fanatics who take their tunes on every workout. This is true wireless living and I highly recommend it! I have been looking for a really good pair of wireless headphones. I will have to try these out for sure. Thank you for posting. I scarcely want to take them out of my ears! great pictures and excellent recommendation. Ill consider these next time I’m shopping for new headphones. I have such trouble keeping ear buds in my ears. They tend to give me a headache so I have to be careful on which I use. I would love to give these a try, though, as being wireless would be so nice! Wireless is the best thing I never knew I wanted. I’ve been really interested in completely wireless earbuds since apple introduced theirs. But I’ve been so unsure about them. I guess I don’t trust that they’re not just gunna fall out! Ha ha ha! I hear you but they won’t fall out! The Air Pods are a bit of a one size fits all nightmare but these are customizable. Check ’em out! I’m going to be honest here, i havent used a wireless headset or anything before. I think this looks awesome and try worthy. My husband has a pair and loves them! Especially for gym workouts. I haven’t yet found a comfy pair so I’ll have to check out these ones!